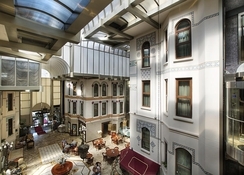 Wyndham Istanbul Old City is set in a grand building built in 1922 located in one of the oldest and most colourful quarters of Istanbul. Evoking the days of old combined with modern conveniences, you can expect 5 Star amenities with comfortable and clean rooms, a delightful restaurant, street café and bar, and unparalleled service from the attentive (but not annoying) staff. It's easy to walk to most of the city's historical places like Hagia Sophia Museum, Sultan Ahmet Mosque, Basilica Cistern, Topkapi Palace and Hippodrome for starters! Breakfast is served every morning to give you the energy to explore this amazing city. 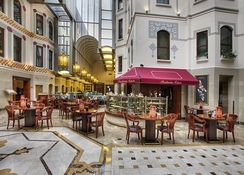 The hotel restaurant has local and international choices and you can also enjoy the street side café for coffee or cocktail. Be sure to stop at the fabulous Ambre Bar for a sumptuous snack accompanied by remarkable wine selections. 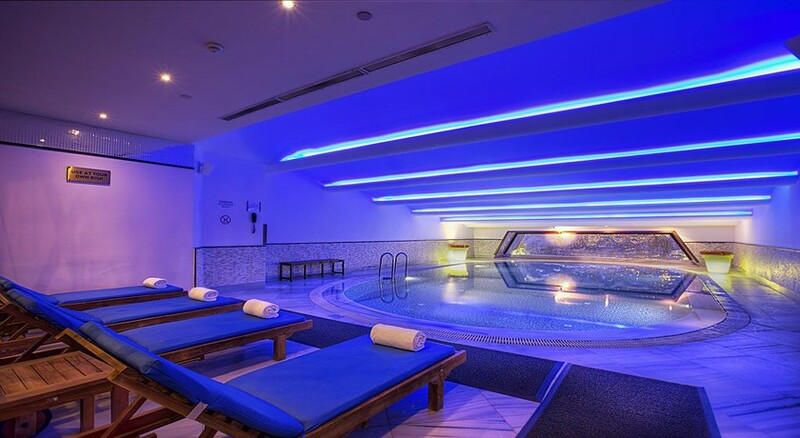 Take a dip in the indoor swimming pool, let off some steam at the Turkish Bath, and book some time at Blue Harmony Spa & Fitness – they are experts at massage therapy and beauty treatments. 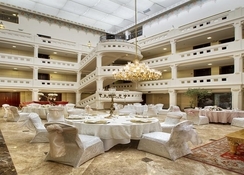 Ballroom and Conference Rooms Ataturk Airport is 13 km from the Hotel.